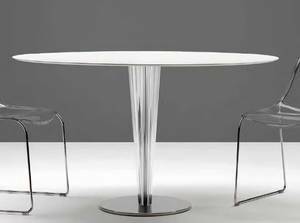 Description Contemporary dining table featuring a conical column (moulded methacrylate) in glossy white, glossy black or transparent. Laminate top in black or white. Polished steel base.